Which चित्र of Nala as an adult is your favourite? Would आप rather of had Nala Simba's child या lioness? प्रशंसकों के पसंद: No Way, that's just wrong!!! No Way, that&# 39; s just wrong!!! 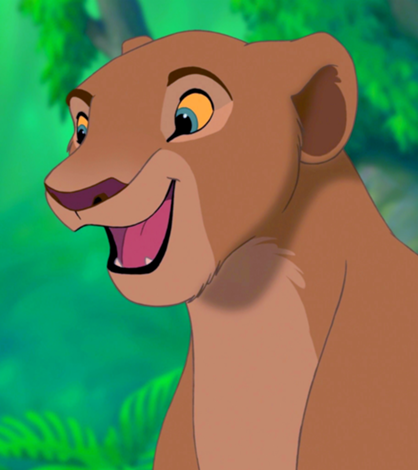 Who do आप think would suit Nala relationship wise, apart from Simba? Which डिज़्नी Princess is she most like in personality? Did Nala have a brother name Mheetu? Is Nala a good mother? It was a beautiful morning in the pridelands. Well that is what nala would think. Nala didn't know there were a group of outlanders trying to kill her. Nala had start to wake herself up, In the cave there were lionesses posing in their rest all around her. There was simba, sleeping around nala. Simba peeped his eyes open, And with a loud yawn, It seemed और like a roar and he woke all the other lionesses up. Nala was supposed to have a little brother name Mheetu created द्वारा Linda Woolverton specifically so Nala, his older sister, could protect him from the deadly clutches of Scar या his hyenas. He was cut out of the film because of time constraints and the idea was dropped because Woolverton felt that, after Mufasa's death, the film had gotten too dark. Also, she didn't know how to go about animating a concentration camp, thus this idea was dropped and they decided to focus of Simba and his new फ्रेंड्स instead of Nala and her brother. A good page for प्रशंसक artists about the change in Nala's eye colour during the original movie, lighting techniques, and why her eyes seem blue at times! a soft spot for clutch moment characters. These are the men, women, and जानवर who come through just in the nick of time, just when the story (or the protagonist) needs them most. a comment was made to the poll: Who is the best mother? a comment was made to the poll: Which picture of Nala is the best? a comment was made to the poll: Do आप think Nala would have been intrested in other Male Lions while she thought Simba was dead? What does Nala's name mean?